Playhouses were never quite like this when I was growing up. 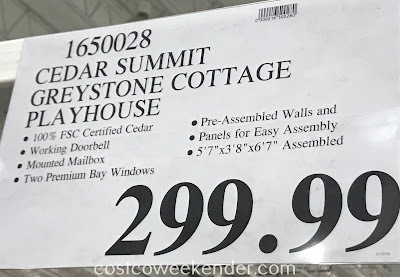 The Cedar Summit Greystone Cottage Playhouse has a kitchen with accessories, a working doorbell, a door-mounted mailbox, 2 bay windows, a play phone, chalk walls, a chimney, and much more! 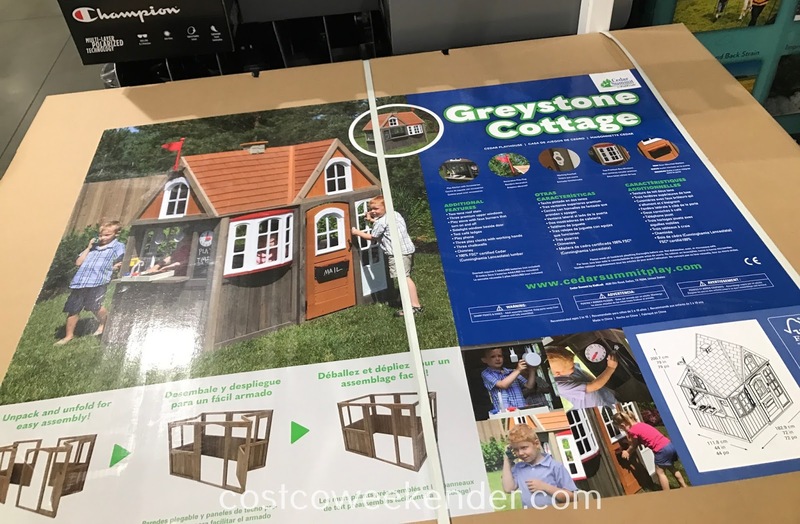 My kids would definitely spend hours playing in this. Of course, they would probably make it into a fort. 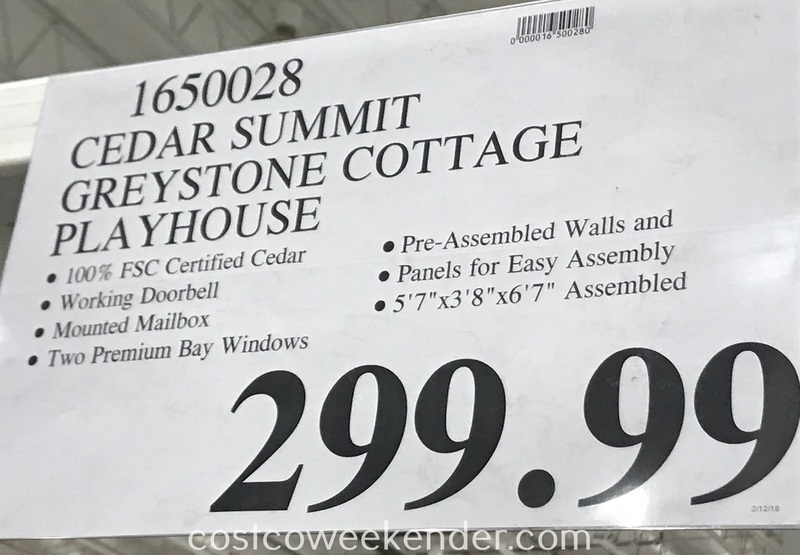 I especially like the fact that the Cedar Summit Greystone Cottage Playhouse is made from food that comes from 100% FSC certified forests. It's good that the wood is sourced from well-managed forests. 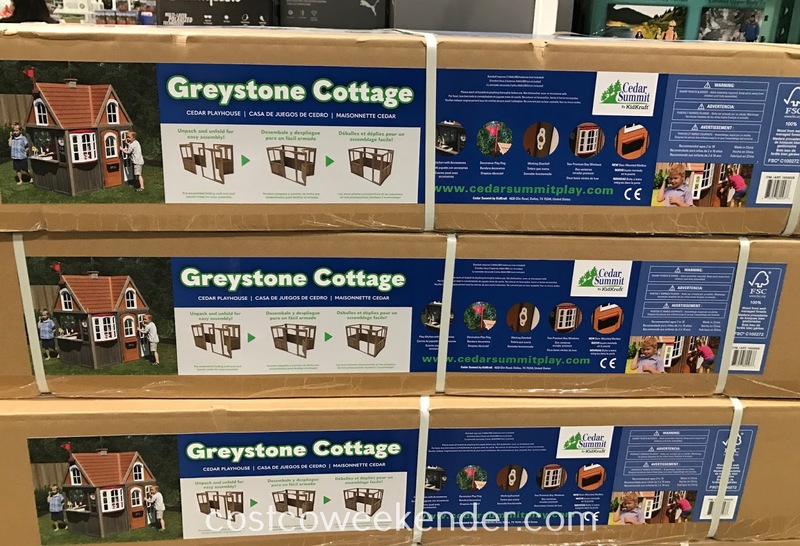 The Cedar Summit Greystone Cottage Playhouse will certainly stimulate your child's imagination as they play make-believe in this tiny cottage. Perhaps they like to pretend to talk on the phone. Or they like to draw on a chalk board. Or maybe they like to play chef. 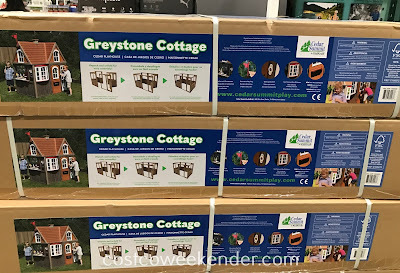 Let their imagination run wild in the Cedar Summit Greystone Cottage Playhouse.